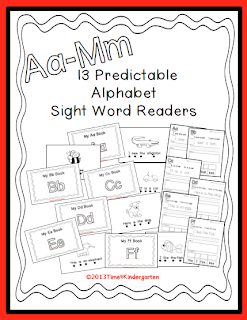 I have been receiving some fabulous feedback about my new Predictable Alphabet Sight Word Readers. I've been using these with my EL kids and my Intensive Intervention kids and it is making a difference. 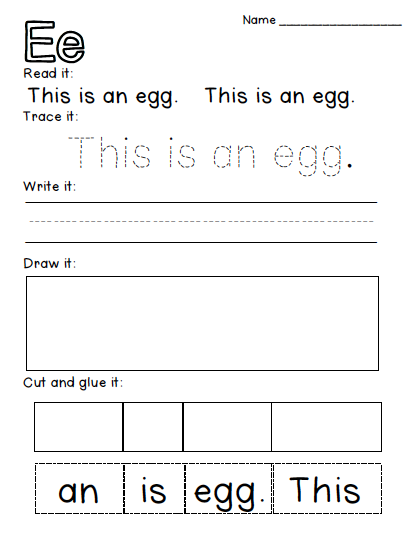 The dots are helping my kids with tracking and the pictures for each letter are giving my EL Kids some vocabulary. My kids who are still learning the first batch of sight words are finally starting to learn them. After we have read the books all week, they get to take them home. They must read them each night as part of their homework. Now they have some books that they can read at home. The parent like that their kids have books they can read. I currently have 13 books in my bundled package. 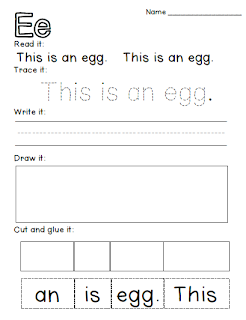 Each book comes with an interactive review page that can be used for whole class, centers, small group work or homework. I will continue to add to this bundle as I am creating more books each day. However, as I add, the price will increase. For those who bought the bundle already, make sure to download it again to get all the books I have added. You ALREADY know I love it!! !